Verizon Wireless today added the Motorola Moto Z3 Play to its list of certified devices. This means the Z3 Play was tested by Verizon in its labs and passed Verizon’s network performance requirements. Verizon itself does not sell the Moto Z3 Play, but you can buy the phone unlocked and bring it to a Verizon store for activation. The Z3 Play is available from Motorola.com, Best Buy, B&H Photo, and Amazon starting today. The phone adopts a 6-inch 2:1 screen, and is made form a slim metal-and-glass chassis. It is compatible with Motorola’s Moto Mods accessories and includes either a speaker or battery. The phone costs $499. The Moto Z3 Play will be sold by Sprint and U.S. Cellular later this summer. Verizon Wireless today added the Samsung Galaxy J3 to its lineup of postpaid and prepaid phones. The Galaxy J3, announced earlier this month, has a 5-inch HD display, 8-megapixel main camera at f/1.9, and a 5-megapixel selfie cam at f/2.2. The J3 has a 2,600mAh battery and includes Android 8 Oreo, 2 GB of memory, 16 GB of storage, Bluetooth 4.2, and WiFi. It is powered by an octa-core Exynos processor. This phone includes Samsung’s Easy Mode UI skin for bigger fonts and icons and offers the Bixby Home app for learned recommendations. The phone is available as the Galaxy J3 V via Verizon’s postpaid service for $168, or $7 per month. It is available as the Galaxy J3 3rd Gen via Verizon’s prepaid service for $124. Apple hopes to improve its Apple Maps app and service by rebuilding them from the ground up with all new data. Apple launched Maps six years ago relying on data from third-party providers such as TomTom. The launch was shaky at best, as the map data was often incorrect or out of date. Apple promised to improve Maps over time, and it did. Four years ago, however, Apple decided to wholly reimagine maps by starting over. Apple has its own fleet of cars to gather information, and it is using “segments of trips you take that have been anonymized,” according to TechCrunch. This information comes directly from iPhone owners and is used by Apple to determine the validity of routes and whether or not there’s traffic congestion. Apple says the data is completely anonymous and only ever takes a small picture of an entire trip without recording the beginning and end points. Even so, iPhone owners can opt out of the data collection using the privacy settings in Maps. Eventually, users will begin to see more information in maps, such as foliage markers, parking lots, pools, sports complexes, accurate building shapes, and pedestrian pathways. Apple says it has thousands of people working all over the world to improve maps. Apple is going to launch the new map data in the Bay Area in early July, with a broader rollout in Northern California expected with the arrival of iOS 12 in the fall. Apple didn’t say when state- or country-level maps will be available. The Moto G6 Play from Motorola is a low-cost device with a big screen and a big battery. It has an attractive design with mostly entry-level specs. If you prioritize battery life over speed and other advanced features, the Moto G6 Play has you covered and then some. Find out more in Phone Scoop’s in-depth review. Qualcomm wants to bring truly wireless Bluetooth to lower cost ear buds. The company today introduced the QCC3026, a new Bluetooth Audio system-on-a-chip that device makers can use to quickly build new products. Qualcomm says the QCC3026 was made to help device makers balance functionality and cost. The QCC3026 reduces power consumption by up to 50% when compared to earlier generation chips. It is specifically aimed at phone makers that may have to remove the headphone jacks from their phones. Qualcomm believes phone makers will be able to design “quality sounding [Bluetooth] earbuds at a cost point that allows them to package them in the box” along with the phone. The QCC3026 now serves as an alternative to Qualcomm’s high-end QCC5100 Bluetooth SoC, which was announced early this year. Oppo has already committed to using the new SoC for buds to be included with its flagship Find X phone. ZTE is nearly ready to install a new board of directors, a step required by the U.S. Department of Commerce if the company wants to end the ban on U.S. supplies. The company held its annual general meeting in Shenzhen this week where shareholders voted on this and other matters. ZTE is expected to name eight new members to its board. In April, the Commerce Department banned ZTE from using U.S. parts and software, crippling the company. On June 7, the Commerce Department said it would end the ban as long as ZTE pays $1 billion fine, puts $400 million into escrow, and replaces its leadership. In addition to the new board, the Commerce Department wants all executives at or above the senior vice president level to be fired, along with any execs who played a role in the wrongdoing. ZTE will also have to put in place a U.S.-appointed compliance officer. The company has already paid the $1 billion fine. Once all these steps are taken, ZTE will have met the Commerce Department’s conditions. Even if it does, it is unclear when the company might be allowed to get back to business. A number of senators and congressmen want the ban to remain in place. Since the ban went into effect, ZTE has been largely idle. Its shares have dropped 60%, erasing $11 billion from its valuation. The new board may be voted in as soon as today. Verizon says it will shut down go90, its mobile video service, by the end of July. The service launched in 2015 as a free option for consuming video via mobile devices. The service never found a real audience. “Following the creation of Oath, go90 will be discontinued,” said Verizon in a statement provided to Reuters. “Verizon will focus on building its digital-first brands at scale in sports, finance, news and entertainment for today’s mobile consumers and tomorrow’s 5G applications.” Oath is Verizon’s content branch and encompasses apps and services from the former AOL and Yahoo brands. Verizon has begun informing its content providers about go90’s imminent closure and said it will return all rights back to its production partners. 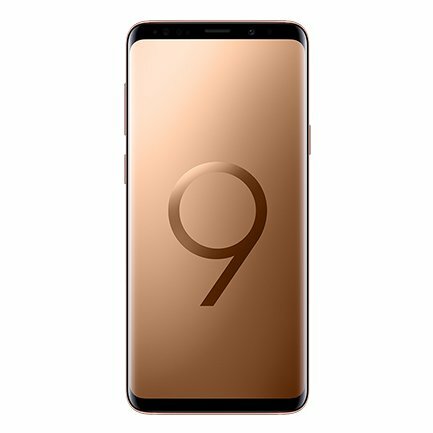 EE have today confirmed the Samsung Galaxy flagship, the S9 and S9+, is now available in Gold on their network. This is an exclusive deal, so anyone wanting to pick up the gold version will have to go to EE. However, with the largest 4G network, VoLTE and WiFi Calling they certainly seem the network of choice for many. To celebrate the launch, EE are offering a great deal for this weekend only with £10 a month off a 30GB plan. The phone is available right now in store, online as well as on the phone, so if you are wanting a gold S9 or S9+, now is the time to order. 29 June 2017, London: EE today announced the new Sunrise Gold variant of Samsung’s flagship smartphones are now available exclusively from EE in the UK. The Sunrise Gold Samsung Galaxy S9 and S9+ handsets purchased from EE will feature WiFi Calling, 4G Calling and access to the fastest mobile download speeds currently available in the UK. 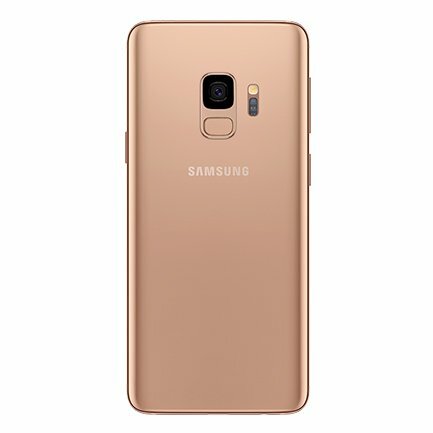 The post EE confirm gold Galaxy S9 now on sale is original content from Coolsmartphone. If you see it on another news website, please let us know. Remember when we just used to review phones? Well, not any more people. Now we’re reviewing vacuum cleaners. 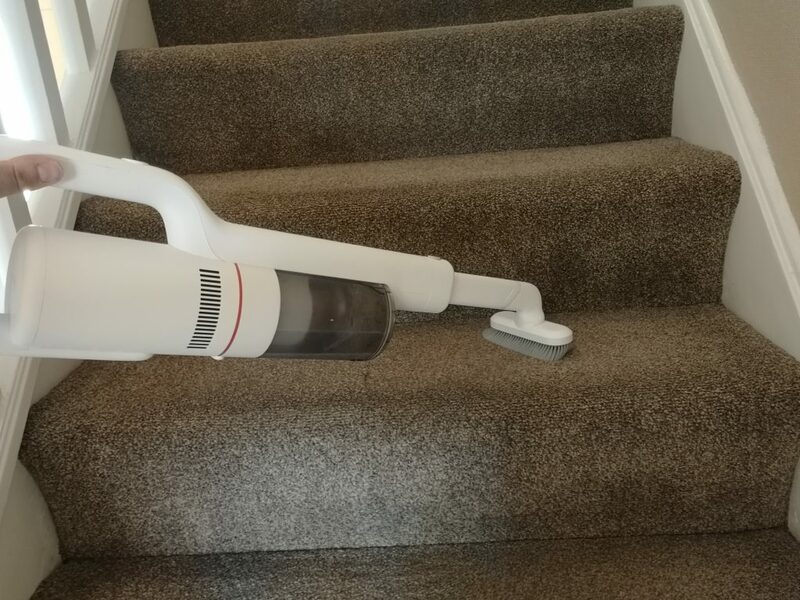 This, though, isn’t just any vacuum cleaner. You might have heard about Xiaomi, right? Well, they looked into the vacuum cleaner market and decided that they could do better than the competition. This is the result, and under the name “ROIDMI” this is the F8. It was funded via the Xiaomi crowdfunding website where $2.8M was received in just 30 days from 12,283 backers. Now it’s in mass production an they’re looking to sell this more widely. 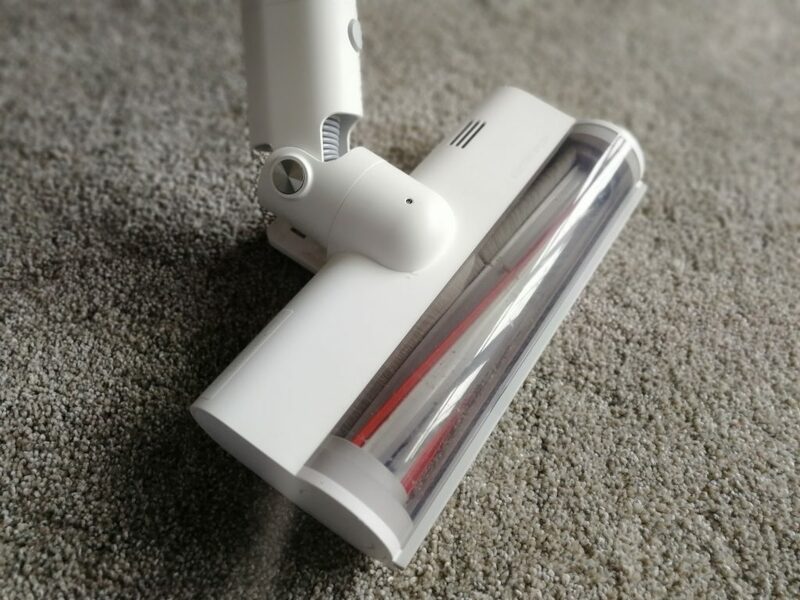 The ROIDMI F8 is a lightweight and battery-driven vacuum cleaner which is said to rival Dyson machines, but for around £292 from places like Banggood and eBay we figured this one needed a big in-depth review. Over the next few days we’ll have a series of videos covering all aspects of this. It’s got a couple of suction modes, with the more economical mode seeing the battery run for almost 55 minutes. On the “high power” mode you’ll get around 10 minutes. Full details of the Kickstarter project and the device itself can be found on their website, but what I can tell you is that it’s currently on their website for $289 as an Early Bird investor discount. I can also tell you that it’s won a Red Dot and iF design award. It’s got 115W of suction power and, as perhaps the most attractive feature, it only weights 1.5Kg. 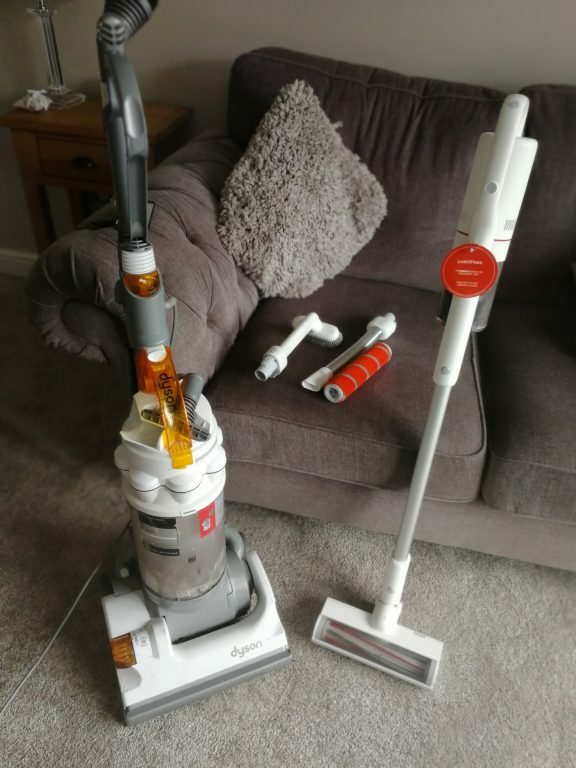 Super lightweight compared to our plug-in Dyson which is now 10 years old. In the coming days you’ll see us pitch this against our corded Dyson DC07, which is perhaps slightly unfair as the battery-powered Dyson V8 would be a batter comparison, but this ROIDMI has put up a very good fight so far. 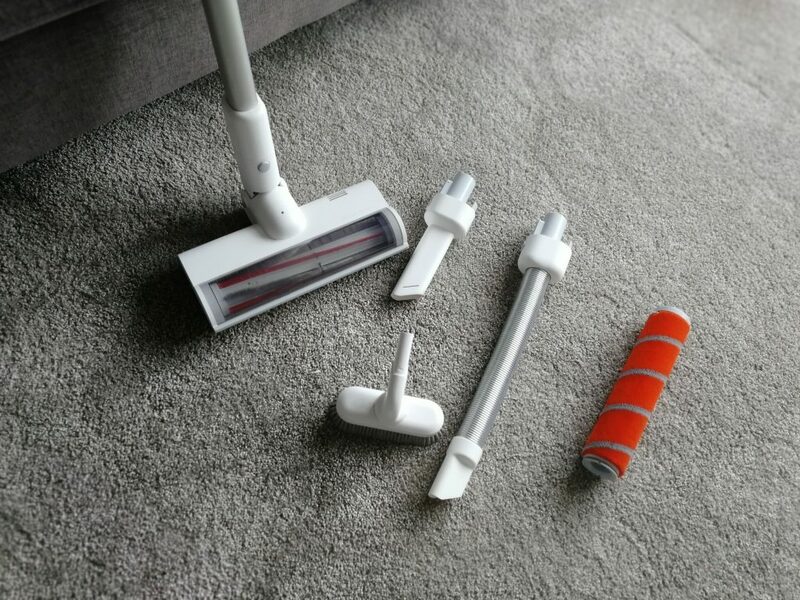 The post ROIDMI Handheld Cordless Vacuum Cleaner – Review (Part 1) is original content from Coolsmartphone. If you see it on another news website, please let us know. It is a proven fact that using for mobile phone whilst driving is a distraction, and is one of the four major causes of fatal accidents on the UK roads today. Not only that if you’re caught using your device, you can be fined £200 and have your licence endorsed with 6 points. If you use your mobile phone whilst driving, well, in my opinion, you are a muppet, as I have seen first hand the devastation caused by drivers distracted and subsequently involved in life-changing accidents. So when the following information arrived at Coolsmartphone Towers, I was immediately intrigued. Dubbed the “Alexa for cars”, Chris (hopefully we will find out where the name is from) is the world’s first digital assistant for drivers, allowing them to receive and reply to texts and WhatsApp messages, listen to music on their phone, follow navigation instructions, and make and receive phone calls using an intelligent speech and hand gesture recognition technology on a glanceable full-colour screen display. What is Chris? It’s the world´s first digital assistant for drivers, designed by German Autolabs, a Berlin-based technology startup developing smart solutions Chris will give drivers the ability to enjoy apps while keeping their eyes on the road, a device that will integrate with any car on the road by simply attaching it to the windscreen. Chris will offer entertainment, connectivity, and navigation capabilities for drivers, via a Bluetooth connection to a smartphone and either an Android or iOS app. Billed as specifically designed for drivers, Chris will offer a more human-centric user experience that proactively communicates with the driver. It works offline even when there is no mobile signal and allows users to maintain access to their digital lives. If a WhatsApp or text message comes in, then Chris will read it out, listen to your reply and send it accordingly. No more secretive typing at traffic lights or peeks at the phone (which is still a motoring offence – you can actually put it away and still be connected). Chris is powered by advanced Artificial Intelligence and Natural Language Processing technologies that are supposed to make you feel like you’re driving with a human co-driver, by delivering information to you when you need it most. Chris is due to be launching at IFA Berlin 2018 (August 30th – September 5th) RRP £299, and hopefully I manage to get one in for a full review. The post Chris – The Digital Assistant for Drivers Announced is original content from Coolsmartphone. If you see it on another news website, please let us know.